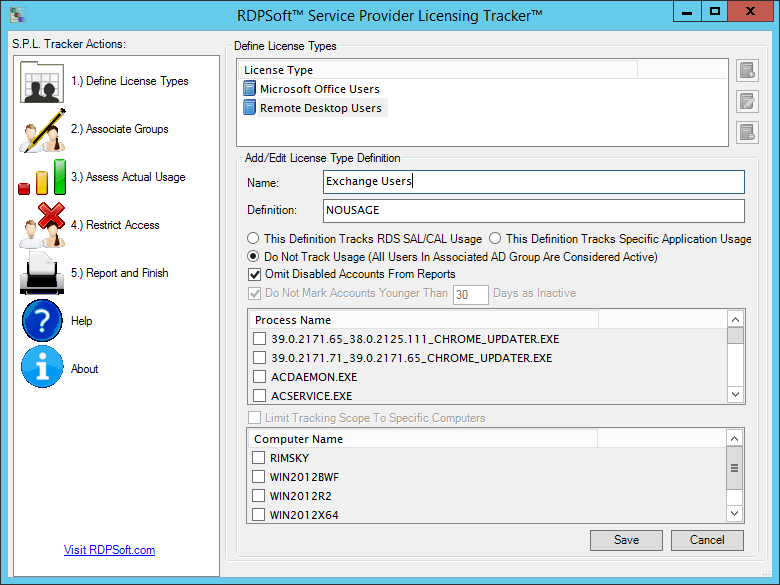 RDPSoft’s Service Provider Licensing Tracker (SPL Tracker) keeps track of SPLA licensing on various shared computing environments, such as Microsoft Remote Desktop Services, Citrix XenApp, and others. Our Service Provider Licensing Tracker is perfect for Managed Service Providers (MSPs), Software as a Service providers (SaaS), and other entities bound by a SPLA or similar subscription licensing agreement. SPL Tracker ships as part of the Remote Desktop Commander Suite. Meaning, unlike pure-play SPLA license tracking vendors, you also can track everything else going on in your RDS, XenApp, and VDI sessions, such as CPU/memory consumption by user session, full session captures with screenshots for troubleshooting, user activity and productivity (for your clients’ benefit), troubleshoot connection quality/disconnects, and so much more! The Service Provider Licensing Tracker is a companion utility included in our comprehensive Remote Desktop Commander Suite solution. Priced at only $9 per server per month, the RDC Suite with SPL Tracker is the most affordable option in the market for MSPs needing comprehensive RDS, XenApp, and VDI monitoring and license tracking. The Service Provider Licensing Tracker (SPL Tracker) compares actual license usage to access controlled group memberships in shared computing environments, allowing management and others to study growth rates and waste. This is especially useful for RDS SPLA and Office SPLA per-user SAL license types, whose usage can fluctuate significantly month to month. Yet, the SPL Tracker can also track and report on other types of Subscription Access Licenses by keeping tabs on Active Directory group memberships that gate user access to applications and services (e.g. Exchange SALs, Dynamics SALs, etc). 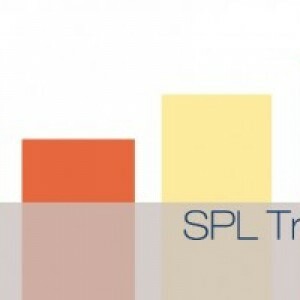 The SPL Tracker also generates reports that automate the monthly reporting required by MSP software licensing agreements, such as Microsoft’s Service Provider License Agreement (SPLA) and the Citrix Service Provider Program (CSP). MSPs also gain valuable insights on unexpected – or foreign – SPLA usage of certain license types. And, inadvertent access to license types through nested group relationships in Active Directory can similarly be discovered. Because the Service Provider Licensing Tracker can automatically adjust access to certain license types based on historical client usage, SPLA licensing costs can be kept in line with actual usage trends. Tracking per user SALs with SPL Tracker 3.0. The Service Provider Licensing Tracker (SPL Tracker) empowers stakeholders to pinpoint what is actual, authorized licensing usage. Unauthorized or unintentional license usage can be detected and dealt with proactively. Waste – due to users who have the ability to use licenses but do not – can be identified and managed quickly. 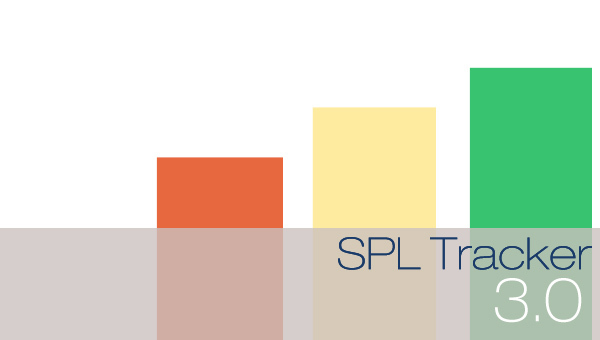 These capabilities can immediately and positively impact an MSP’s bottom line – both by reducing costs associated with manual SPLA management and reducing SPLA waste – all for a very minimal investment in the SPL Tracker package. The SPL Tracker, combined with the Remote Desktop Reporter in the Remote Desktop Commander Suite, is licensed on a monthly subscription basis, and is based on the number of RDS, XenApp, and VDI systems in your environment (starting at $9 per server per month for RDS/XenApp session host servers, and $1 per virtual desktop workstation per month). Because it is licensed with Remote Desktop Reporter, you can also leverage advanced RDS/XenApp/VDI reporting for yourself and your clients, such as per session performance/resource impacts, teleworker time tracking, and historic session recording for help desk troubleshooting. Remote Desktop Reporter should be allowed to run and collect usage data for several days prior to building reports with SPL Tracker. SPL Tracker can be run in GUI mode, command-line mode, and/or scheduled to run at a routine interval using the Remote Desktop Reporter service.